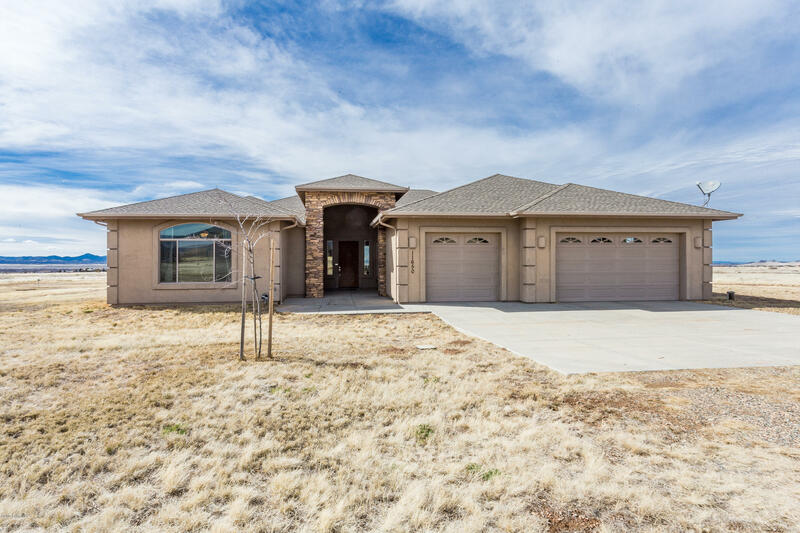 All Prescott Prairie homes currently listed for sale in Prescott Valley as of 04/23/2019 are shown below. You can change the search criteria at any time by pressing the 'Change Search' button below. 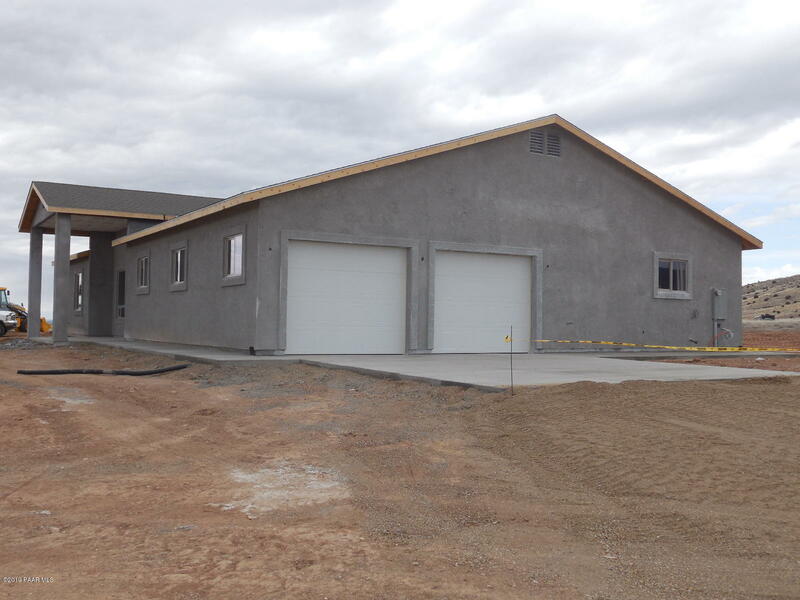 "Your own piece of the Prescott Prairie land~ the perfect homestead for your family's future. Amazing 360 views of Granite Mtn & Mingus Mtn range reflect the majestic freedom you'll experience here & you'll enjoy this breathtaking perspective at every window of the home. 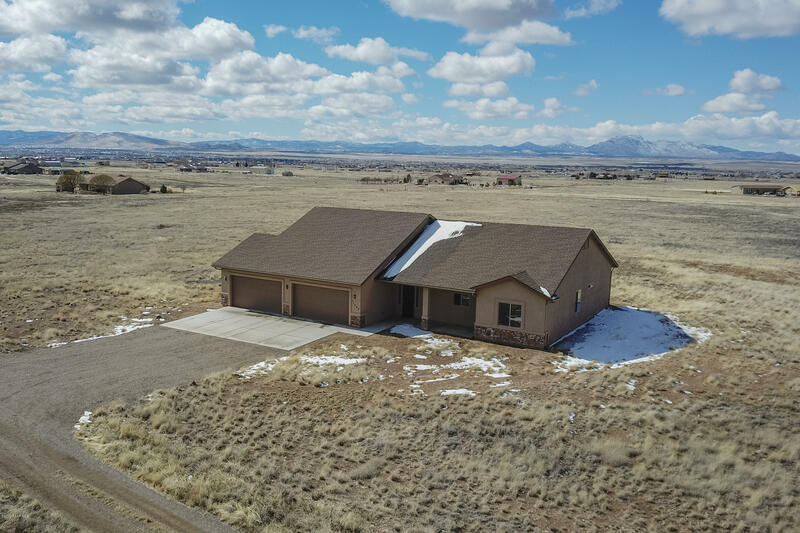 The home itself is smart & practical- spacious split floor plan, large bedrooms & additional den/office; Large open kitchen w granite counters & plenty of cabinetry. Master bedroom is luxurious w its own fireplace & huge closet f"
"#206 Brand New Home in Desirable Prescott Prairie, 2390 sqft, 3 Beds, 3 Baths, Formal Dining, Lg. 1045 sqft 3 Car Gar. Knotty Birch Raised Panel Doors, Self Closing, Concealed Hinges, Granite Counters, Tile B.splash, Lg Walk-in Pantry, SS/Black Appliances, Gas/Convection Range, Buffet Upper/Lower Cabinets, B.fast Nook, Under Cabinet Lighting. Master w/ Double Vanity, Double Walk-in Closets, Walk-in Shower, Garden Tub & Patio Access. 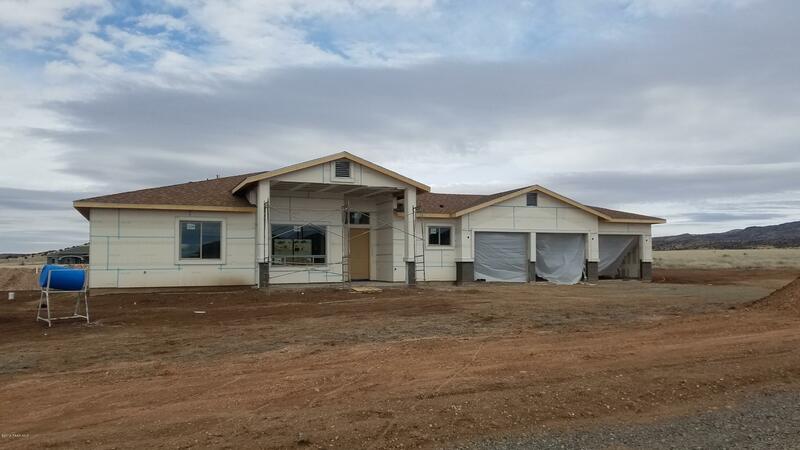 10' Ceiling Thruout w/ Elevated Front Entry, Wood-look Stained "
"#205 Brand New Home in Desirable Prescott Prairie, 2354 sqft, 3 Beds, 3 Baths, Formal Dining, Lg. 1046 sqft 3 Car Gar. 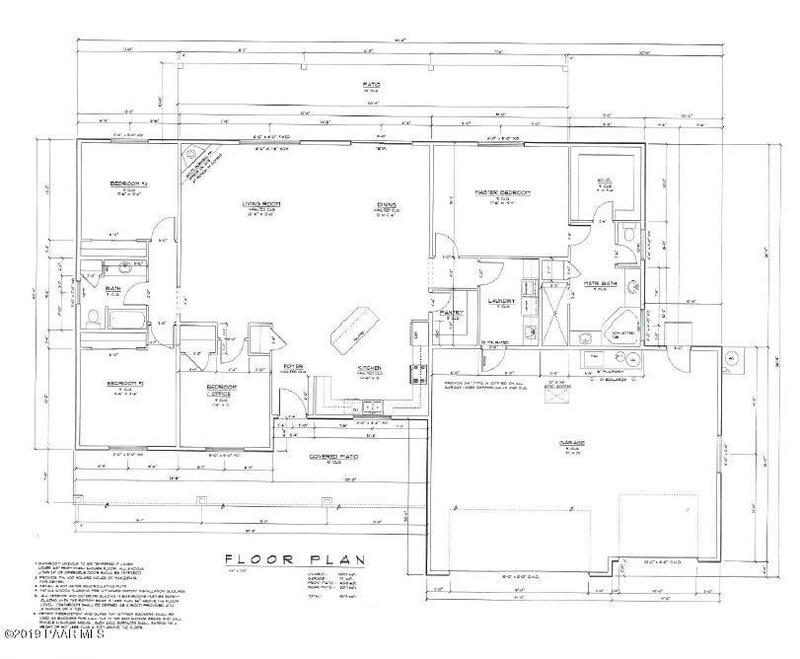 Knotty Birch Raised Panel Doors, Self Closing, Concealed Hinges, Granite Counters, Tile B.splash, Lg.Walk-in Pantry, SS/Black Appliances, Gas/Convection Range, Buffet upper/Lower Cabinets, B.fast Nook, Under Cabinet Lighting. Master w/ Double Vanity, Double Walk-in Closets, Walk-in Shower, Garden Tub & Patio Access. 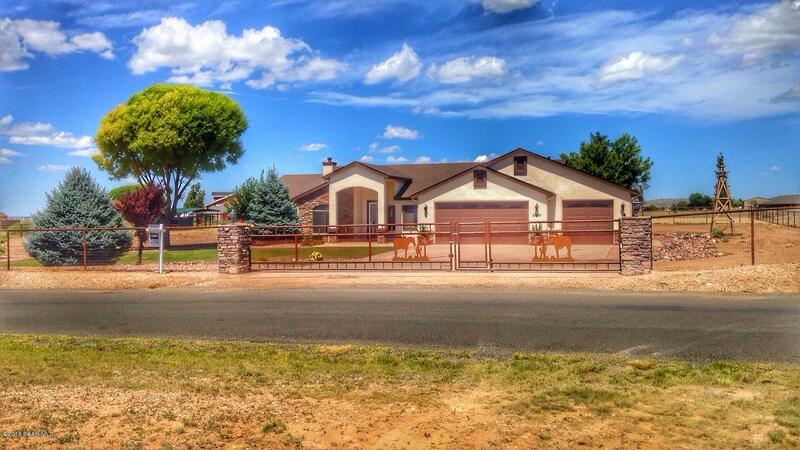 10' Ceiling Thruout w/ Elevated Front Entry, Wood-look Stained"
"GREAT HORSE PROPERTY WITH PIPE RAIL AND CROSSED FENCED. ARENA WITH A MARE MOTEL(WITH) HAY STORAGE ATTACHED. 3 SEPARATE DOUBLE GATES PROVIDE EASY ACCESS FOR TRAILERS AND RV'S & A CUSTOM ELECTRIC ENTRANCE GATE, WITH A PASS THROUGH GATE. THIS DARLING 4 BEDROOM 2 FULL BATH HOME WITH CUSTOM PAINT THROUGHOUT FEATURES AN OPEN FLOOR PLAN & GAS FIREPLACE IN GREAT ROOM. SPACIOUS EAT-IN KITCHEN WITH WALK-IN PANTRY AND CORIAN COUNTER TOPS. SEPARATE DINING ROOM. 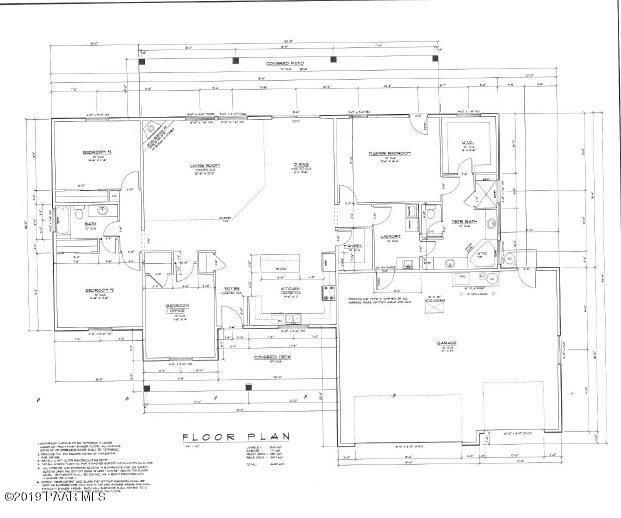 MASTER BATH HAS DUAL SINKS, WALK IN CLOSET, S"